When will you be releasing the build files? With every new version of the OpenPPG frames, official files will be released shortly after the corresponding version of the kits. This will help to reduce confusion and create a foundation for clear and concise information to develop on. How much thrust does it produce? All four motors combined produce over 72 kg or around 160 lbs of thrust. To put in perspective the Scout 185 (Vittorazi Moster 185), Nitro 200 and Fresh Breeze Monster produce the same 160-165 lbs. 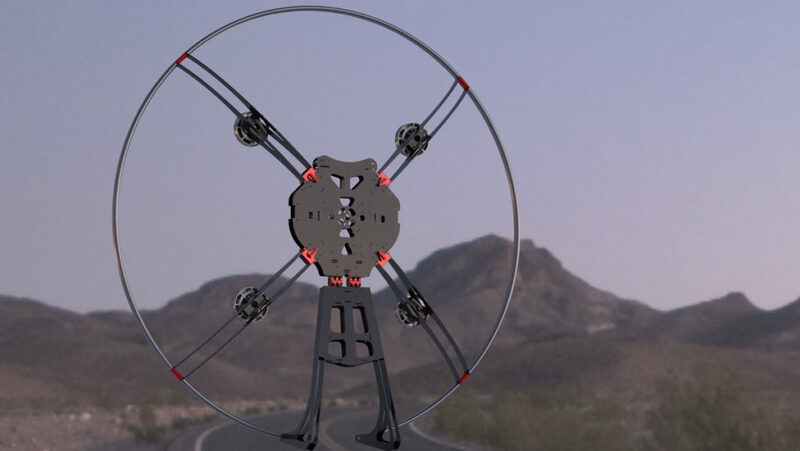 Those being the higher thrust paramotors on the market with the average paramotor producing around 135 lbs of thrust. Fight time depends on the battery setup you choose. The lightweight battery setup will give you 20 minutes of flight time with the larger packs giving 40 minutes of flight. If you decide you need more flight time you can put more batteries on and fly longer than 40 minutes but you will be approaching the weight range of gas paramotor. We’re working hard to add more information. Please visit the forum or contact us with questions/comments and we’ll do our best to get back to you.